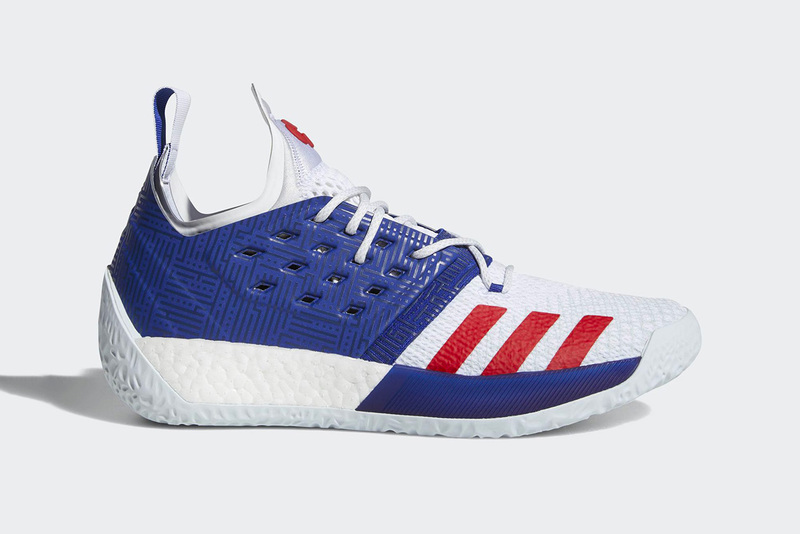 After donning an LS Lace rework, the adidas Harden Vol. 2 returns this month in its original form with a patriotic red, white and blue outfit. This new pair from the Beard boasts a patterned blue upper at the rear half and white knit with red stripes at the front half. A metallic silver tongue adds some flash while a supersize BOOST sole unit offers premium cushioning. This adidas Harden Vol. 2 colorway will be releasing on July 14 for $159 USD at SNS and select Three Stripes stockists. For more upcoming sneakers, adidas Originals’ Futurepacer is dropping in a black colorway. Collaging sailing flags with vintage logos.